The video and wiring diagram below illustrate how to wire your Les Paul to enable coil splitting. Coil splitting humbuckers is a popular and simple wiring mod that essentially sends one coil to ground when the push pull pot is activated in the "up" position. The mod involves using a push pull pot to split the coils. Note - this is only possible if your humbucker pickups have 4 conductor wires (black, white, red and green). Pay attention however - whilst the vast majority of pickup manufacturers use the same colours, the order is different. For example, on a Gibson humbucker, it is the red wire (typically) which is the hot signal output, whereas on a Seymour Duncan, it is the black wire. Refer to our coil splitting page for a handy chart highlighting various pickup maufacturers colour coding system. 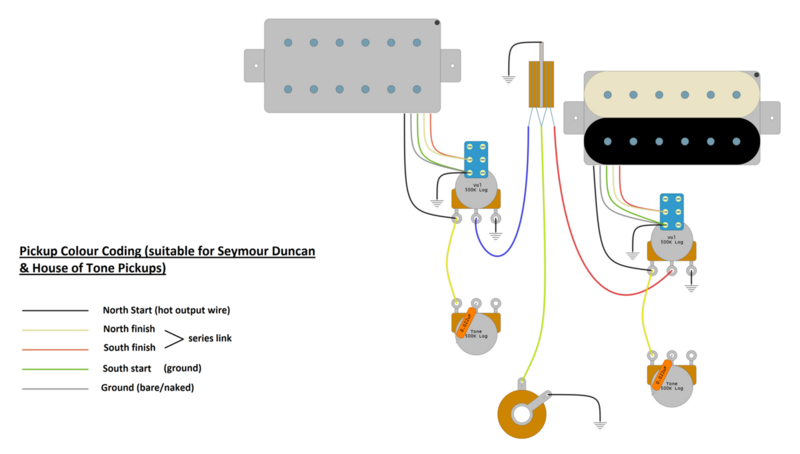 Note - the video and diagram is based on Seymour Duncan pickups. It is also identical for House of Tone pickups. 1) Ground the 3rd lug of the volume pot as normal. Use a jumper wire connecting the lug to the pot casing and solder it to the pot casing. 2) We need a common route to ground from the push pull switch. Typically, the lower solder point on the left hand side (out of the 6 solder points of the upper part of the push pull switch) gets grounded. Again, use a jumper wire and sodler it to the pot casing. 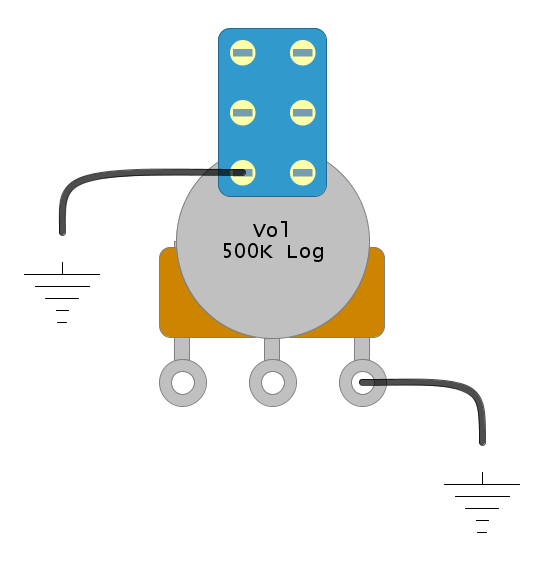 Follow the wiring diagram and video for guidance. The toggle switch and jack socket are wired exactly as before.